HPV-related head and neck cancer is increasing among young adults, but traditional treatments can affect how patients look, talk, and even eat – huge factors on a first date. Find out how Baran Sumer, M.D., helps patients beat cancer and minimize socially awkward side effects. More women over 35 are choosing elective C-section, citing a desire to control the timing of their maternity leave. 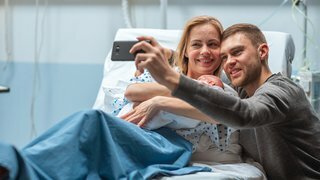 But 2019 research suggests the risks associated with C-section are double in this age group compared to vaginal delivery. Learn more in this week’s Your Pregnancy Matters MedBlog. Breast cancer researchers might be a step closer to personalized treatment – and predicting recurrence risk. In this week’s MedBlog, Sangeetha Reddy, M.D., M.S.C.I., discusses today’s advanced treatment and how the study might shape patient care in the next decade. Learn more. When Jared Rumbo’s kidneys failed at age 19, he embarked on a 30-year transplant journey that would lead to four new kidneys and a complex procedure at UT Southwestern. In this week’s blog, transplant surgeon Parsia A. Vagefi, M.D., discusses Jared’s inspiring kidney transplant story. In the Instagram era, is looking “postpartum perfect” in new mom photos worth the effort? 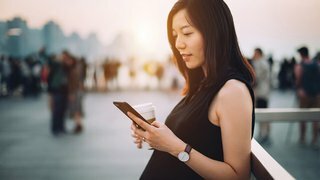 In this week’s Your Pregnancy Matters blog, Jamie Morgan, M.D., discusses both sides of the discussion and offers four points to consider. Learn more. Traditional repairs correcting pelvic organ prolapse have too often weakened over time and required revisional surgery. 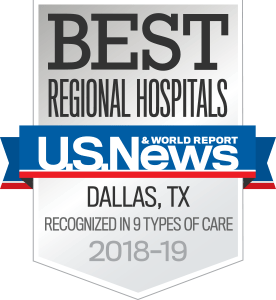 Based on promising initial data from a pilot study, we are studying whether the simple addition of vaginal estrogen might reduce the need for additional procedures in postmenopausal women. 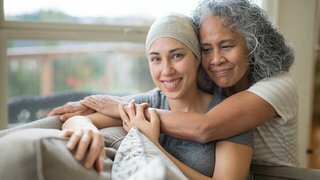 Several types of cancer treatment can make it difficult or impossible for patients to have a baby. Explore the options available for people diagnosed with cancer to preserve their fertility. Approximately 40 percent of women develop post-traumatic stress disorder after a complex birth or pregnancy -- even doctors who care for these patients every day. In this week’s Your Pregnancy Matters article, Shivani Patel, M.D., shares her personal PTSD story and what women need to know. Botox, fillers, and lasers are nonsurgical treatments that allow the face to look younger as men and women age. Learn why Jeffrey Kenkel, M.D., says these options are becoming so popular that many patients include these procedures in their monthly budgets.